Reef aquariums are not toys. However blunt that may sound, it is true. As hobbyists we have the responsibility to maintain healthy systems to the best of our ability and to meet the needs of the animals we keep. For the sake of the animals, and your wallet, one should take some things into consideration before starting. With this in mind, here are some things to consider that will help you make the most of your reef keeping experience. Space: Many cannot have aquariums larger than 10 gallons in the dorms or apartments. Fascination: Choosing a nano reef because they like the uniqueness a smaller system provides. Secondary: Setup a nano reef as a grow-out place to put coral frags from their larger system. 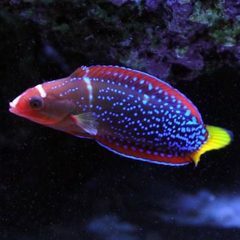 Costs: Some start nano reefs because they feel that they will cost less than a larger tank. 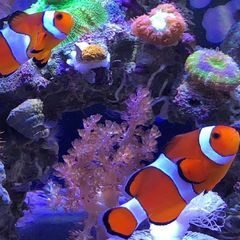 Nano Reefs Cost Less: This is sometimes true, however the cost per gallon is quite possibly more for a nano reef than a larger system, though the final investment is quite a bit less. Also, the more you get into coral collecting, etc. - the more you will find that nano reefs really aren't inexpensive at all. Nano Reefs Are Difficult: In most cases, they really are not. They do however require plenty of initial planning, research, research, and research. They also will require at least 10 minutes of your attention daily. As long as you follow your maintenance schedule, and do not make any sporadic additions, your tank will be quite easy to keep thriving. Nano Reefs Are Just Like Normal Sized Systems: Not even close, in a number of ways. One of the biggest differences is what livestock can be kept in smaller systems. Nano Reefs DO have limits, and they need to be respected. If you want a challenging and rewarding experience, and are willing to give the time and dedication it takes, then this hobby is for you. With any reef tank comes responsibilities and limits, but they are truly worth it. Nano Reefs have broken down a great deal of barriers that once existed, and have given many more people the opportunity to keep reef aquariums. I'm currently doing some research to start my own nano-reef and I'm clueless on were to start. Would you happen to have good reference book/post on the basics of set-up and maintenance the nano needs? I would like help with that question also! Trying to decide on which size tank, which make of tank.. Mind boggling!